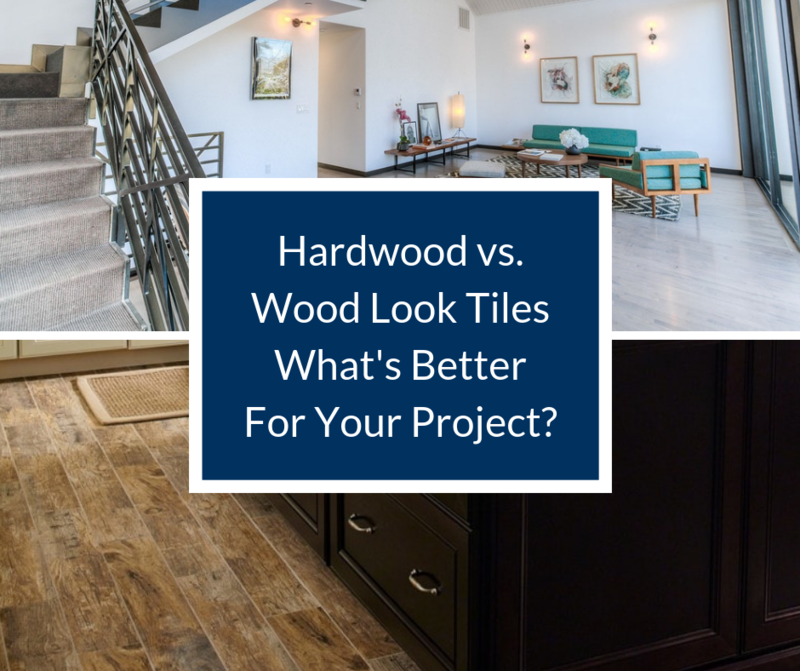 Hardwood vs. Wood Look Tiles: What's Better For Your Project? Elevate the look of your flooring by choosing between hardwood and wood look tiles. The needs of the space, durability, cost, and overall design of the flooring all play factors in determining which one makes the best choice for a space. 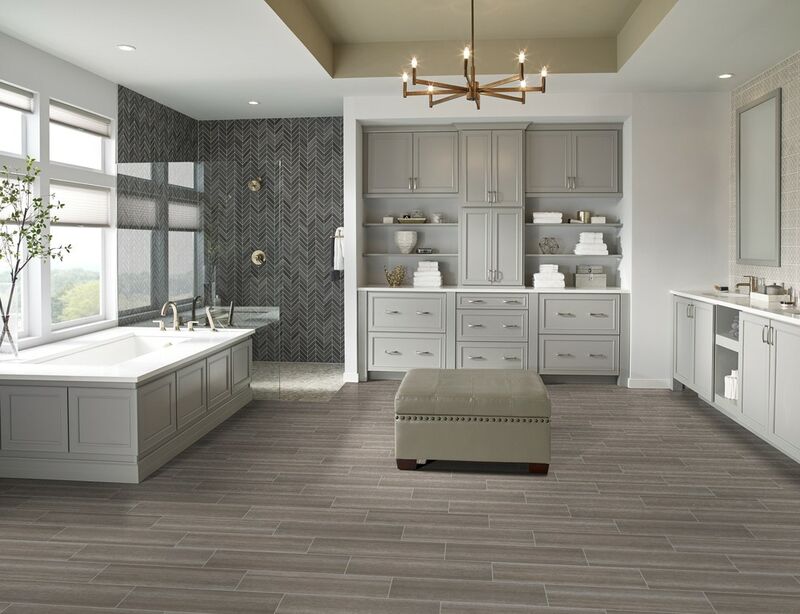 Both hardwood floors and wood look tiles come in a wide range of finishes and grain patterns, making it easy to find a style that suits the needs of the space, no matter which option you select. Both hardwood floors and wood look tiles are relatively low maintenance when used in appropriate areas of the home but not every room is well-suited for hardwood flooring. Hardwood floors do not stand up to moisture, making them suitable for only dry rooms in the home. They look great when swept regularly but are susceptible to scratching from dirt or grit. Over time, these scratches can affect the finish of the floor. Because it is tile, this flooring is suitable for both dry and wet areas of the home. This makes it a great choice for laying continuous flooring through all the living areas of the home. It can even be used for kitchens, laundry rooms, and bathrooms. Regular mopping and annual polishing will keep the tile looking great. What If I Have Children and Pets? Children and animals elevate the level of activity in a room and you’ll need a floor built to hold up to their demands. 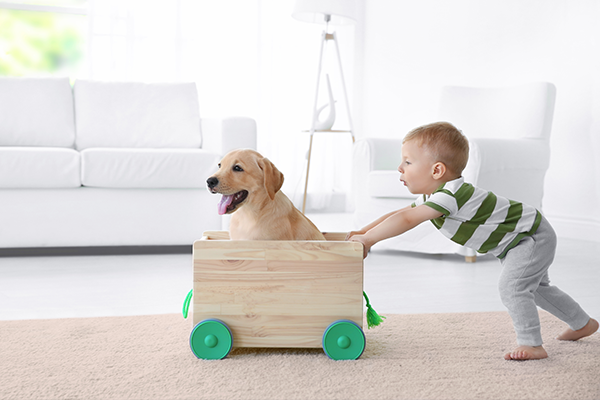 With the right flooring in place, they can run and play without fear of damaging the floors. Hardwood floors make a great choice for homes with children and pets because of its natural strength. However, the susceptibility to moisture damage makes it worse for very young children and aging pets that may cause accidents. Pets with long nails an also cause scratches to the surface of the floors over time. Wood look tile typically offers a slick surface. The sleek design can make it slippery for active children and pets. The durability of the tile, however, makes it resistant to scratches from pets’ nails. 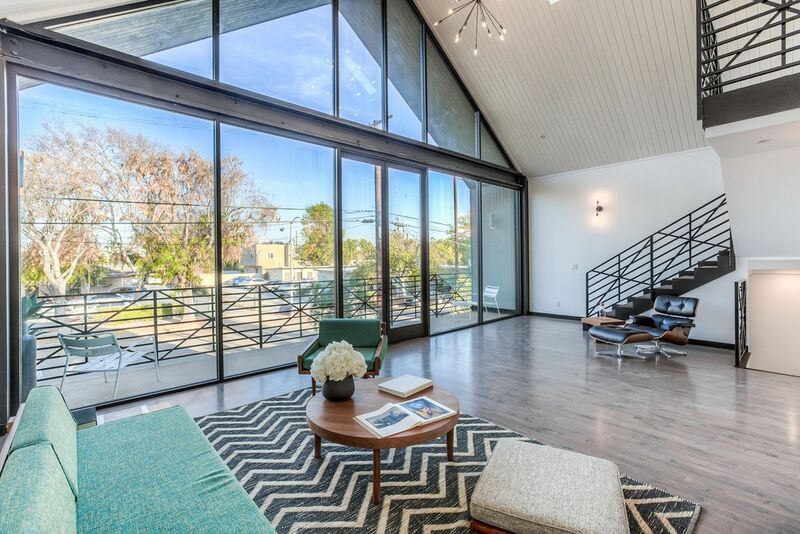 The furnishings and overall needs of the space can help to determine which flooring option makes the best choice. Hardwood floors are a traditional flooring for residential spaces and are fully capable of standing up to the weight of standard home furnishings. Extremely heavy items, such as those found in industrial spaces, could cause dents and scratches to hardwood floors. 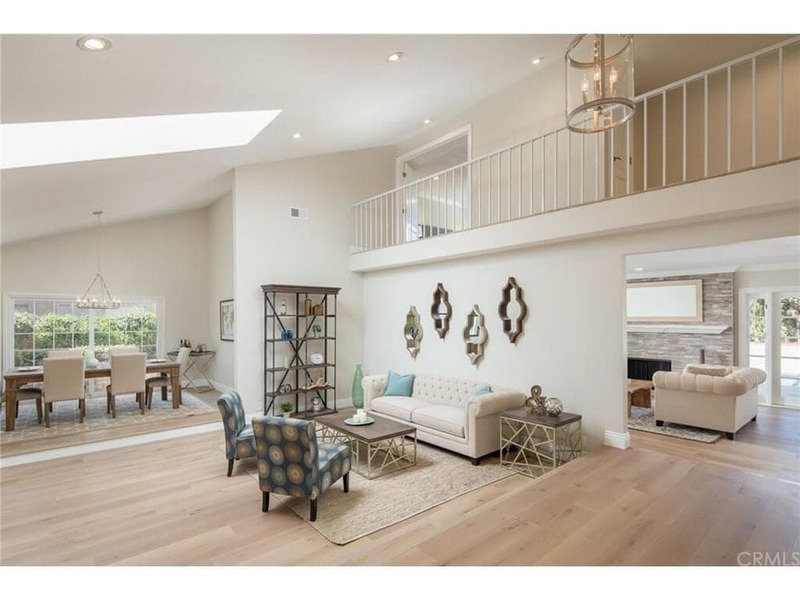 Wood look tile stands up to even heavy-weight items, making it an ideal choice for residential homes as well as stores and industrial properties that have heavier furnishings and higher traffic patterns. 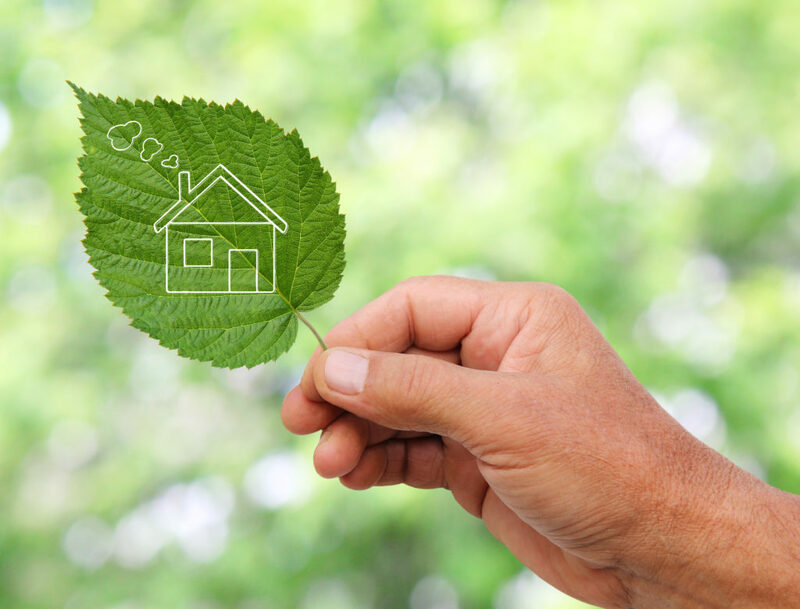 The environmental friendliness of a product is a popular consideration when choosing a flooring material. Although very different in construction, both wood look tile and hardwood floors create some environmental impact. Every brand can vary on process so feel free to look into the varies companies to help determine their efforts towards making eco-friendly choices. The primary concern for using hardwood flooring is the time it takes for a tree to grow to a maturity that yields a product. Not only does it take many years for trees to grow to a proper size, but the process of cutting, finishing, and finalizing the product creates a carbon footprint and creates waste. While wood look tile does not have the same impact on trees, the process of making the tile carries its own carbon footprint. With this material, the source materials are very eco-friendly in nature but the manufacturing process is not. Laying new flooring is a major home expense. You’ll want a product that will stand up to years of use while still looking great. Both hardwood flooring and tile are relatively durable but each one can show signs of wear over time. When used in dry areas of the home, hardwood floors are extremely durable. Stay away from moisture and grit and the finish can last for years. When hardwood flooring starts to become worn or scratched, sand it and refinish it to give it a fresh look. The ability to refinish hardwood floors makes it a great long-term investment. Ceramic tile that offers the look of wood can hold up to more traffic and weight without showing signs of damage. The hard surface is also pretty much impervious to moisture, making it perfect for bathrooms. 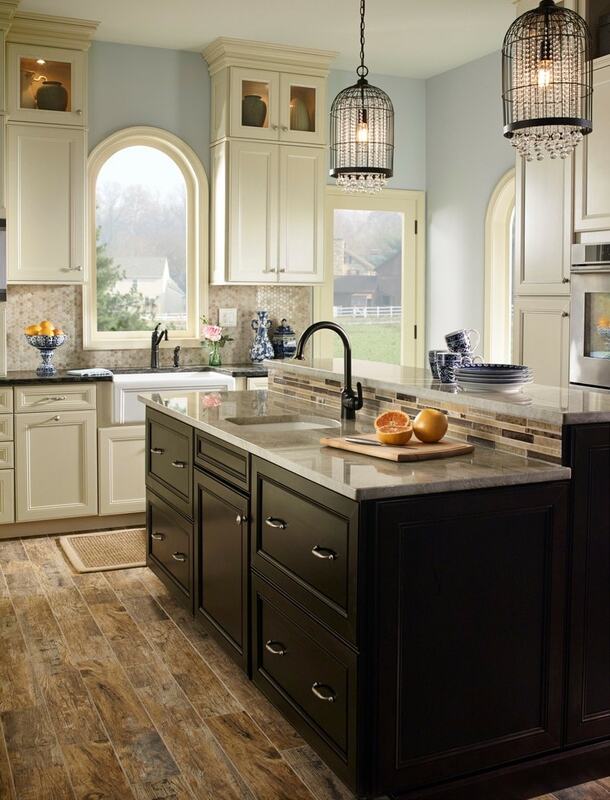 The main drawback of tile is that with time, it can start to chip or crack. On average, expect wood look tiles to have a lifespan of about 20 years. If they look dull, a quick polish can restore the original look. Both product cost and installation fees are major considerations in choosing a floor that fits into the design budget. Both hardwood floors and wood look tile should be installed by professionals for the best results so it really comes down to the cost of the material. Taking careful measurements of the space will help in determining how much the materials and labor will cost and creating a realistic budget. Hardwood flooring, although beautiful, is also one of the more costly flooring options. If the budget allows for it, hardwoods produce lovely results that will continue to be on-trend for many years to come. When budgets are a little tighter, wood look tile is a much more cost-effective than hardwood flooring. The lower cost makes it easy to cover a larger area of flooring without damaging the budget. When it comes to adding a traditional elegance to a space, both hardwood flooring and wood look tiles make great options. When selecting the one that is right for a home or industrial space, consider the budget, the needs of the space, and the level of traffic the room receives. No matter which one is installed, the floors are sure to make a strong foundation for the room for many years to come.